A leftover from times long gone, this lonely swing set is slowly eaten by the elements. In the summer of 2000 I found something on the ground in an open field east of where I live in northern Colorado. I picked it up and brought it home. I have always picked up interesting rocks and some of them I polish in a tumbler. But this looked more like a bone than a rock and I was intrigued by the veins of crystal. In January of 2002 I contacted a professor of Geology at the University of Northern Colorado. He tested my find by dropping some sort of acid on it and since there was no reaction he was able to tell me it was not bone, but in fact a nice chunk of petrified wood. He also told me that the silica that is laced around and in my piece dates it to the tertiary period which is between two million and sixty million years old! Sometimes I hold this wood and try to feel the years that have passed in its time. Mostly I just feel the weight of my piece and the dumb luck involved in finding something so cool. 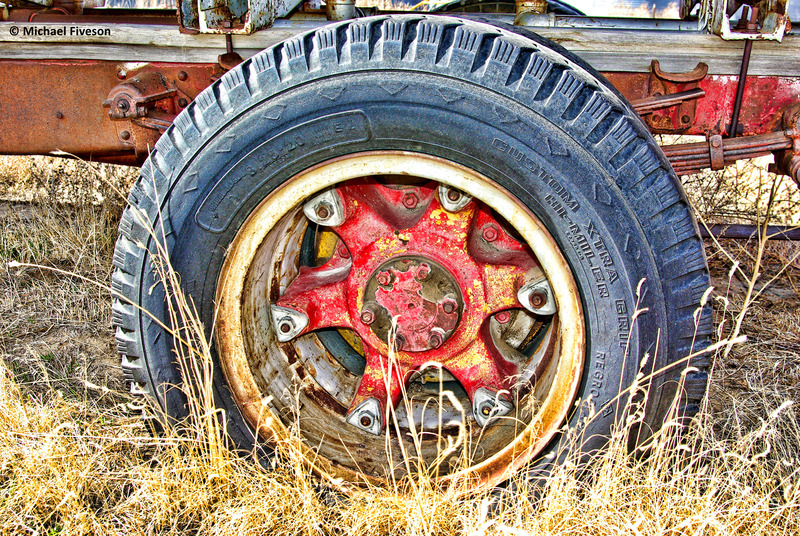 Baking in the sun, and slammed by the elements, an old wheel erodes slowly. Almost as if an airplane hit it. Available for wet storage, be cautious when entering. 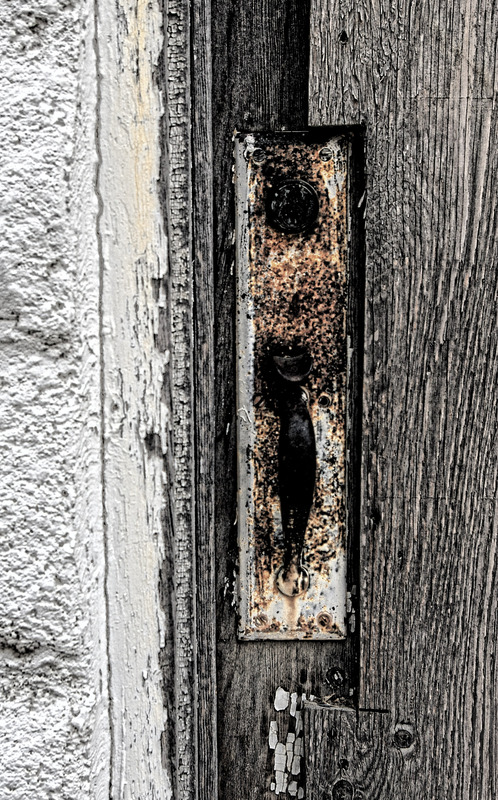 The weathered wood and rusty handle measure time. It all crumbles in the end, unless cared for meticulously. 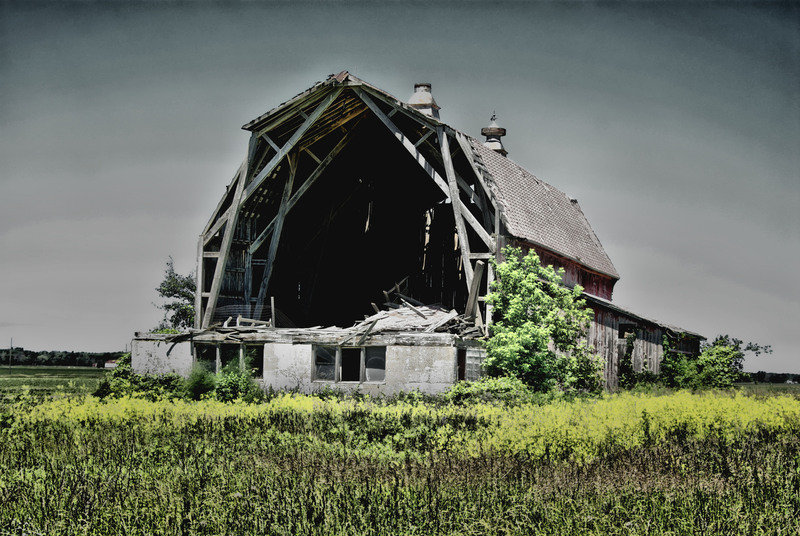 Then we watch the rebirth, as we slowly fade from view. 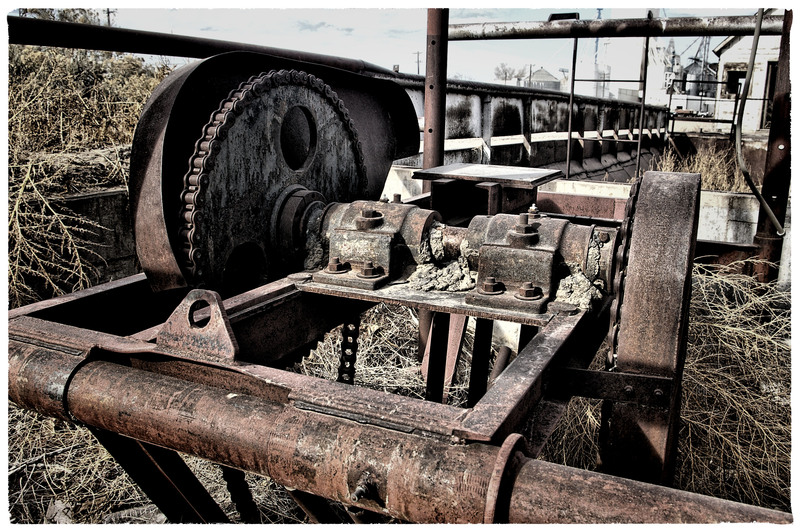 An abandoned piece of industrial equipment is left to the elements where it slowly rusts.